Messianic musician, songwriter, and worship leader Troy Mitchell’s second release, “Light of the World,” captures the distant gleam of the spiritual light which will shine from Zion—the revelation of the kingdom. Mitchell delivers his signature blend of acoustic soul food, rock, reggae, gospel hope, and Chassidic joy in English, Hebrew, and Greek. Worship leader Troy Mitchell’s debut album, “Yoke of the King,” brings a fresh and authentic voice to Messianic Judaism. 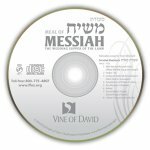 Mitchell’s original songs draw from the Gospels, the Hebrew of the Tanach, the Midrash, synagogue prayers, and first-century liturgy—even utilizing the Greek of the Apostolic Scriptures—to bring a fusion of Chassidic joy, gospel hope, jazz, and soulish prayer focused on the light of Messiah.